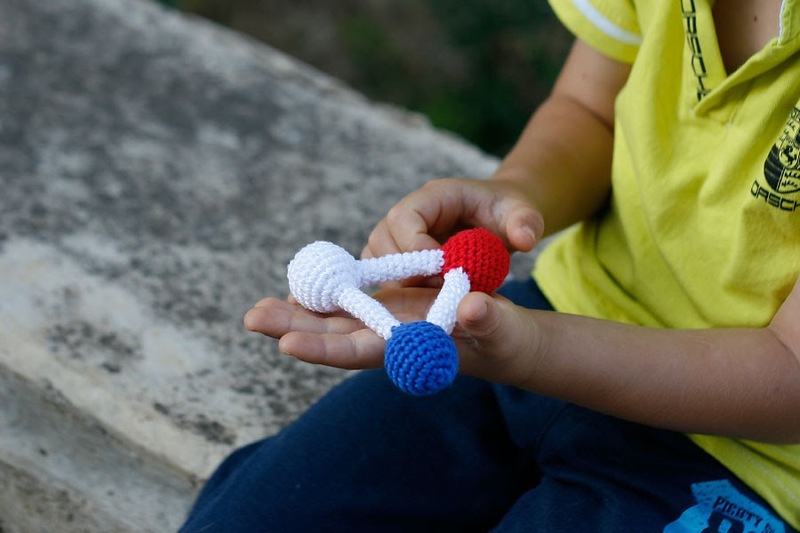 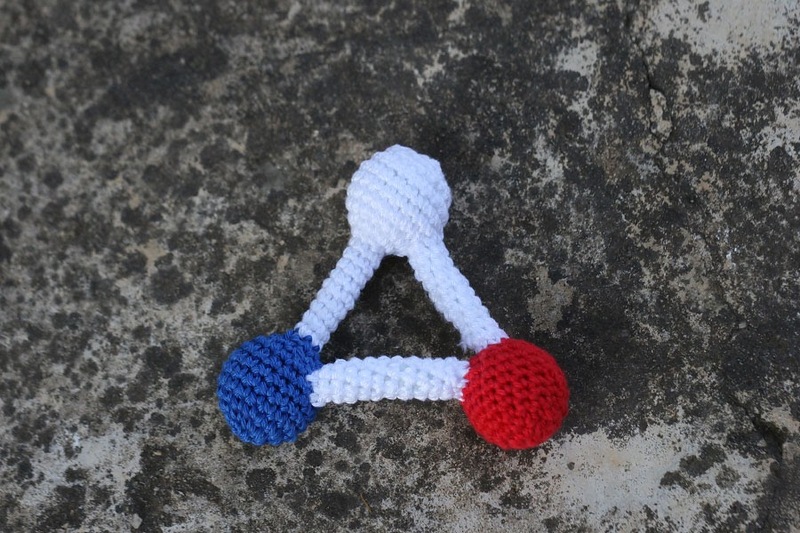 Molecule triangle rattle in red, blue and white. 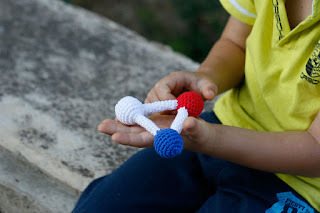 Special gift for a little genius to be! 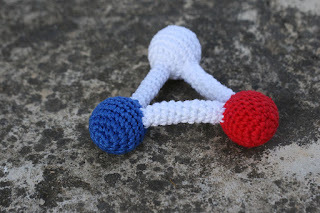 Rattle is a great first toy for babies. 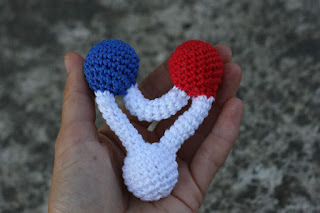 It's not just a toy, babies develop new skills manipulating with rattles, like coordinating their eyes visually tracking the sound, learn to hold and shake the rattle, exploring its surface with hands and mouth. 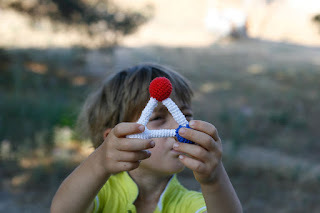 Crochet fabric is textural and brings new interesting aspect to explore.